Very low calorie diets or VLCDs are diets that restrict daily food intake to 1000 calories or less. This is often done with commercial meal replacements, which is the safer alternative, as these are usually formulated to contain appropriate levels of vitamins, minerals and other nutrients to meet daily requirements. Meal replacements such as Optifast and Sureslim are increasingly popular and provide a nutritionally complete approach to VLCDs. The second, less desirable way is a calorie counting approach, involving restriction of foods intake or eating solely one type of food such as in the grapefruit or cabbage soup diet. This type of diet can result in serious nutrient deficiencies not to mention antisocial eating behaviours. Whichever way they are carried out, VLCDs can have extremely serious side effects and are not recommended unless prescribed by a medical professional for very short term use. Research has found that VLCDs are generally safe when used under medical supervision in those with a BMI over 30, and may be indicated in those with a BMI between 27 and 30 if they have health complications due to obesity. For this group of people, large amounts of rapid weight loss may produce health benefits. 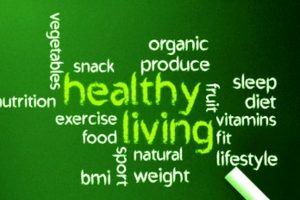 However, for people with healthy or even slightly elevated bodyweight, there is no need for such a strict diet, and to follow a VLCD may even be dangerous. The average woman requires 2000 calories per day, whilst men need about 2500 to maintain their weight. This is an average figure however, and differs significantly from person to person depending on activity levels, body composition, weight and height. A VLCD provides less than half the calories required for weight maintenance, which although it may result in weight loss, can also cause serious health problems and is unsustainable and dangerous for long term use. What does a very VLCD do to your body? As you are not consuming sufficient carbohydratesfor the body to obtain energy, another source to supply the body with the energy needed for day to day life is needed. Thus the boy starts to break down protein and fat to obtain this energy. Whilst fat is generally not too much of a concern in overweight people, protein breakdown or ketosis can result in loss of muscle and organ tissue. Although you will be losing weight, half of that weight is likely to be muscle loss. This works against long term weight loss as muscle burns more calories than fat in a resting state, thus by decreasing muscle mass you may in fact reduce your metabolism, meaning it is harder to keep weight off when the VLCD is finished. Initial weight loss can be extreme. However, this is likely to be due in part to a large amount of fluid loss. Before the body resorts to protein and fat for energy, it will first breakdown the bodies emergency carbohydrate stores, called glycogen. Glycogen is bound to water molecules, thus this loss of glycogen can also lead to water loss. What are the side effects of following a very low calorie diet for a long time? Minor side effects of VLCD include fatigue, constipation, diarrhoea, dry skin and nausea. There is also a high incidence of gall stones in VLCD followers. Followers may also experience extreme hunger and cravings. These side effects are associated with fast weight loss. Other more serious effects can occur is a VLCD is followed for a long time, or is not followed correctly. A very low calorie diet that does not provide sufficient vitamins, minerals and electrolytes is followed, deficiencies can occur. Loss of bone mass is a likely consequence of long term low calorie intake, as the diet will not provide sufficient calcium to maintain bone density. Electrolytes such as sodium and potassium may also be lacking. These are essential in the cellular processes in the body and if an imbalance occurs can result in serious consequences such as heart failure. General deficiency of other vitamins and minerals can cause a range of other side effects ranging from minor to very serious such as renal and liver disease. This is why VLCDs are only indicated for weight loss in obese individuals and must always be followed under the supervision of a health professional for a limited amount of time. A VLCD is an extremely antisocial way of eating. Whilst on the diet you cannot enjoy meals with friends and so may end up avoiding social situations where eating is involved. There is little variety in VLCD, as you are usually limited to a range of calorie and nutrient controlled powders, shakes, and puddings that fit your eating plan. Whilst a VLCD may help you to lose weight, it does not help you improve your eating and develop healthy habits to maintain your weight loss in the long term. It may produce a quick fix, but may followers report gaining weight back quickly when the diet is finished. There is no focus on normal natural eating patterns and how to choose the correct foods for a long term healthy diet. 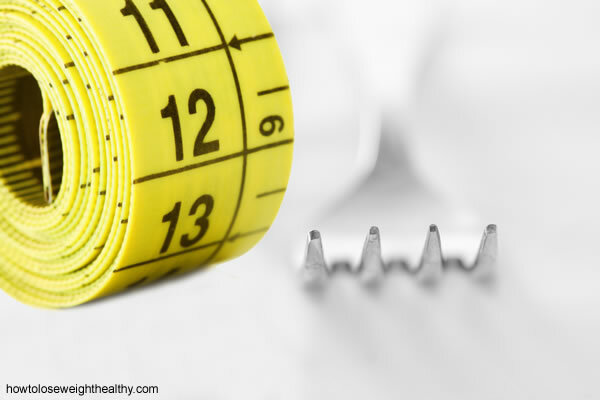 When the controlled diet phase is completed it is easy to return to old eating habits, which can cause quick regain of weight especially since calorie requirements are likely to be reduced with a lower body weight that previously. In conclusion, a VLCD may be indicated for very obese people under strict medical supervision. However it is not recommended for those who do not need to lose large amounts of weight and is not a long term weight maintenance option. A VLCD can be dangerous if not followed correctly and should only be used for a short period of time.